Israel Adesanya lands a right hand on Kelvin Gastelum during their title fight. The victory means Adesanya remains unbeaten in the UFC with a 6-0 record and sets up a dream trans-Tasman unification bout with reigning middleweight champion Robert Whittaker. Whittaker took to Twitter immediately after Adesanya’s win to congratulate him on the victory and signed off with: “See you soon”. ﻿Whittaker was born in New Zealand but moved to Australia as a young child. * McGregor in more strife? ﻿Adesanya becomes the first New Zealand based fighter to win a UFC belt. 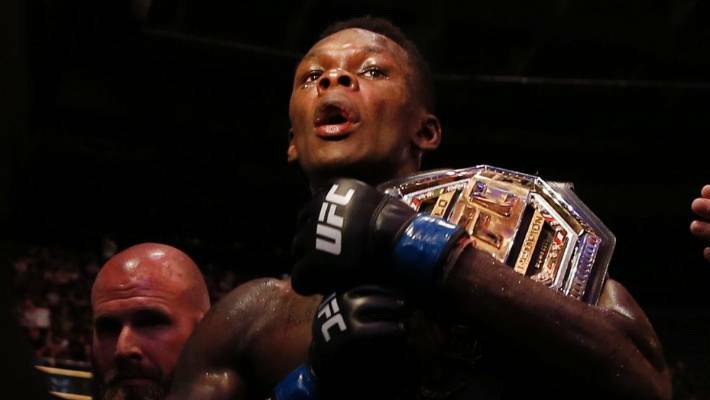 Israel Adesanya is the new UFC middleweight interim champion. Whittaker pulled out of a fight against Gastelum on the eve of UFC 234 in Melbourne back in February due to a “freak” abdominal injury which could have proved fatal had he fought. 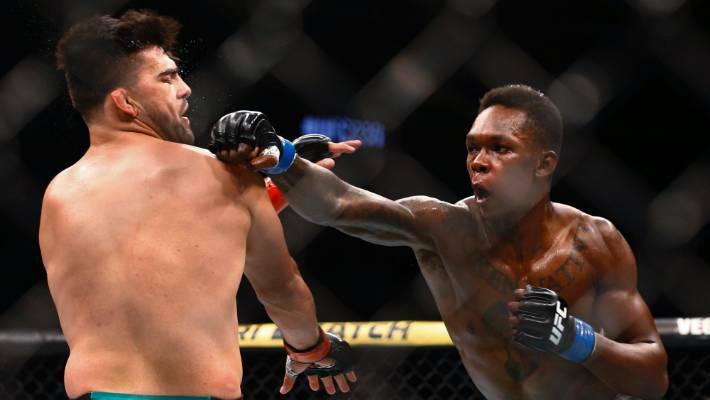 Because he has been sidelined with the injury, the fight between Adesanya and Gastelum was made for the interim title with Adesanya likely to face Whittaker next. It was hard to imagine the main event – also an interim title bout – between UFC featherweight champion Max Holloway and Dustin Poirier for the lightweight title could go anywhere near the Adesanya-Gastelum fight but that’s exactly what it did. In another spectacular five-round fight, Poirier claimed the victory with a unanimous decision. The UFC 236 card was billed as a stunner but nobody could have predicted it to provide what it did. * Mat Kermeen travelled to Atlanta with assistance from UFC.